While Black Cat has a presence in Marvel’s Spider-Man, the rogue never actually appears. In a set of side missions, players investigate her movements throughout Manhattan, hear messages from her, and unlock a new suit. Thankfully, Black Cat’s role in this Spider-Man universe will be expanded in the upcoming “The Heist” DLC. However, fans should expect the unexpected. According to Creative Director Bryan Intihar, “twists and turns” await for those that think they know her best. I think [“The Heist” DLC] is a very self-contained story that really does a great job with Black Cat. Black Cat’s performance is great. We do some twists and turns that I don’t think people are going to expect with the character. There’s a lot of great humor in there. Some really fun missions that build upon what we did, and even some missions that I think “oh, I wish we would’ve thought of this for the [base game]. 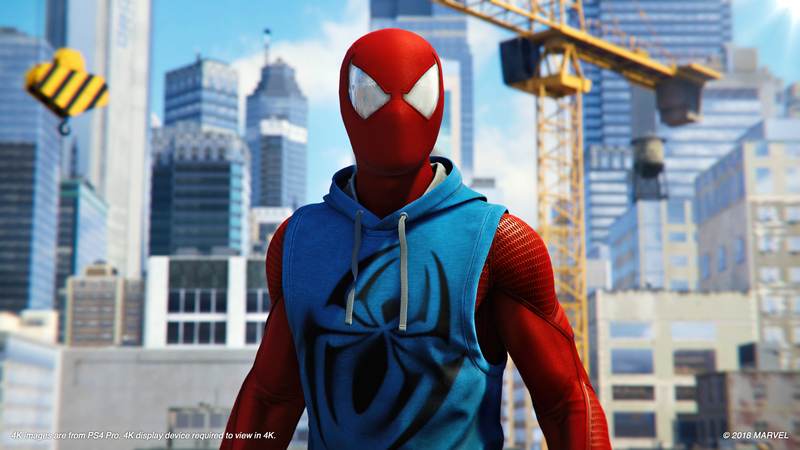 Intihar also said new suits will feature in the DLC, as well as new additions to photo mode. As of now, Insomniac has yet to detail specifics about the additional suits. The first batch of post-launch content, “The Heist,” goes live on October 23, 2018. On unspecified dates in November and December, Insomniac plans to release the rest of The City That Never Sleeps pack. “Turf Wars” arrives in November; “Silver Lining” launches in December. The whole pack is available for purchase at $24.99. Separately, the DLCs cost $9.99 each.